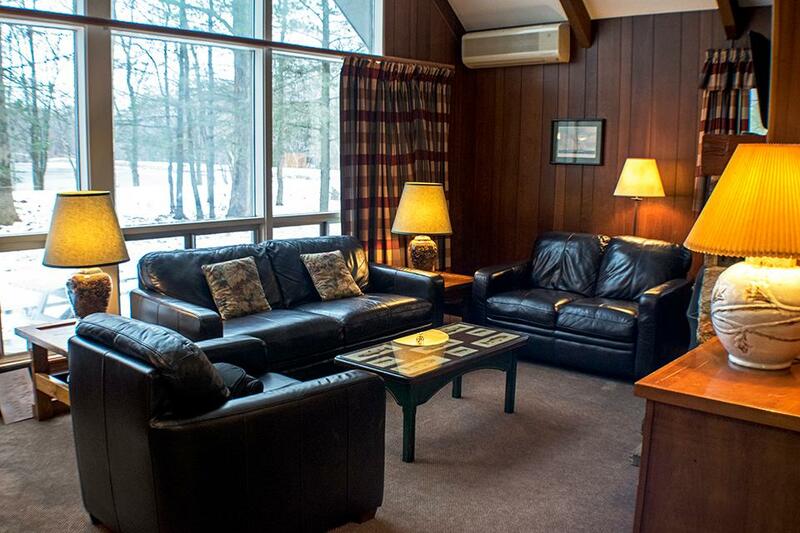 Floor-to-ceiling windows that face the lake and make this chalet a favorite with our guests. 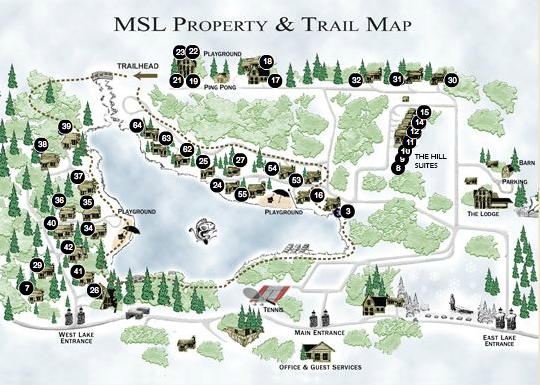 Watch the sun meet the mist of the lake from your patio or relax in front of the fireplace. 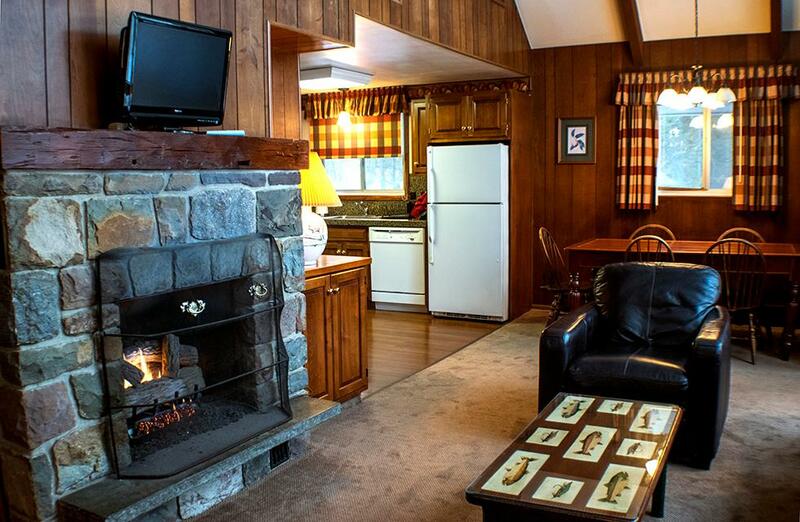 Moments from the beach and playground, Cottage 26 is nestled among tall trees and evergreens with a spectacular view of Big Pocono.